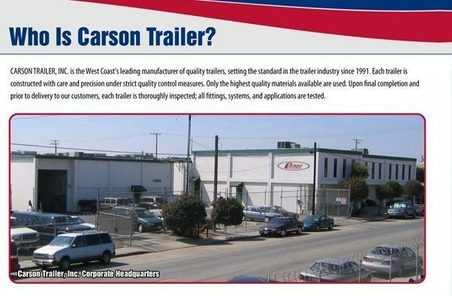 Carson Trailer operates a manufacturing service on the West Coast of the United States. On the 12 acre facility, 200 employees produce over 150 trailers a week. You will find quality trailers produced using the highest grade of materials. 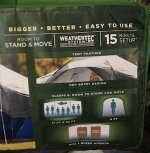 They are serious about the value you expect in an RV. This Western based company produces Toy Haulers, Flatbed Trailers, Enclosed Cargo Trailers and Utility Trailers. You will find a Carson Dealership in Arizona, California, Colorado, New Mexico, Nevada, Oregon, Utah and Washington. They also sell trailer parts. Regardless of your trailer's age, make or model, you can find what you are looking for. Their reputation of being one of the most trusted dealers is superior. 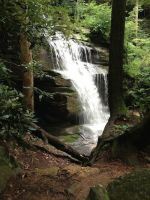 If you are on the West Coast of the U.S., stop in and look around. You will find the trailer you are needing right there. With a friendly staff, they are dedicated to providing their customers with the very need they have. Look at the Car Haulers, Tow Dolly's, Water Craft Carriers, Heavy Duty Equipment Trailers and even Dump and Landscape Trailers. As you can see, the list is quite impressive when it comes to trailers and the manufacturing of them. I have not been to visit them, but if I ever get a chance to go the the West Coast, I may just look them up! Browsing through inventory and taking pictures myself is what I love to do. If you have visited any Carson dealerships, please contact us and let us know so we can pass on the information to other interested readers. We want your opinions and pictures! There is nothing like personal experiences to share. We will be glad to print your views about this company.